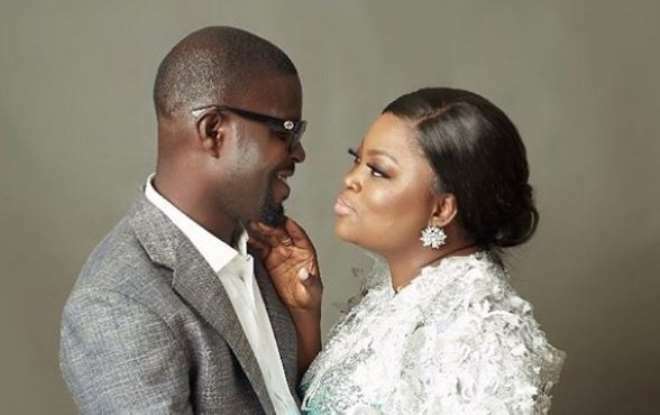 Pretty Nollywood actress, Funke Akindele, and hubby are currently celebrating their 2nd year wedding anniversary and these has made many appreciate God in their lives. The love journey of the actress has not been an easy ride but through the grace of God, she has been able to pull through and still standing tall. Funke against all odds, got married to Abdul Rasheed Bello and despite the unhealthy environment many tried to create for them, they went ahead and today they are happy together and conquering the world with every step they take.